This retro picture of birds shows two hummingbirds in a sweet mid-air display, their wings flapping furiously to create their trademark humming sound. This abstract collage has been made from magazine cuttings in neutral and complementing colour tones and mounted within a transparent frame. The see-through background and slim black frame of this abstract birds picture brings simplicity to the design, creating a light feel that will freshen rooms. 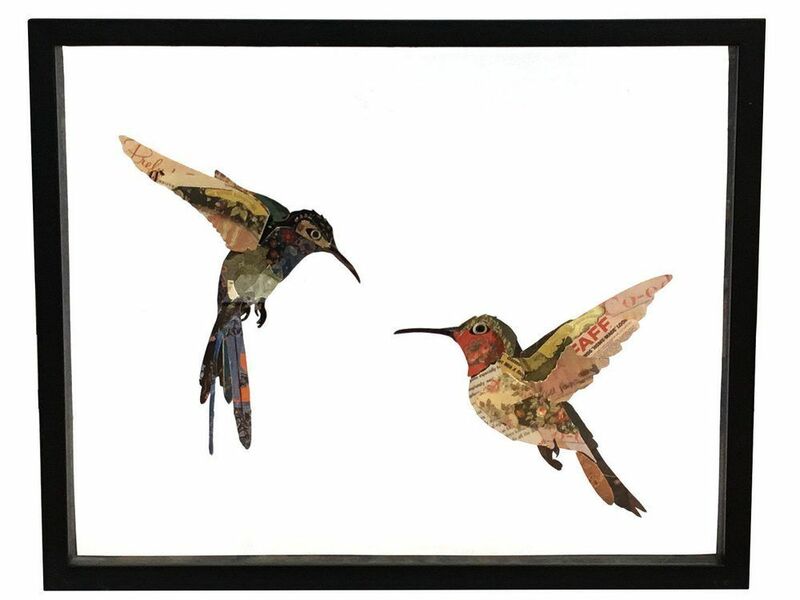 This hummingbirds wall picture is ideal for bringing a hint of vintage flair to interiors.